Very sweet fragrance. Sadly the flowers are very high at least 10 feet and i have to use a ladder to sniff flowers. Never seen such beautiful flowers. Lucky you! I just searched the name in curiousity- and there seems to be a debate- Some say Vigna caracalla and fragrant flowers are mutually exclusive things. 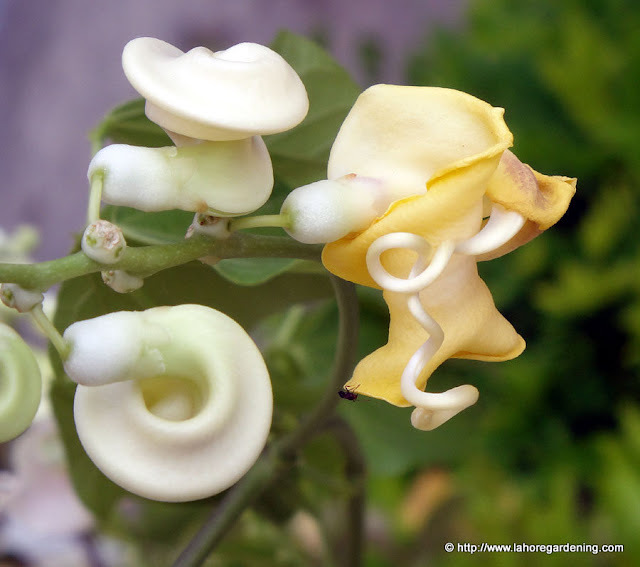 It is the corkscrew plant, Phaselous caracalla, that has very similar and fragrant flowers. What is your view point on this debate? Dear Farooq, Phaselous caracalla is not fragrant..
Phasaelous caracalla is not fragrant and bears yellow flowers. Izhar ... wow, what growth.This one surpasses me two year plants even.Mine are blooming madly though. 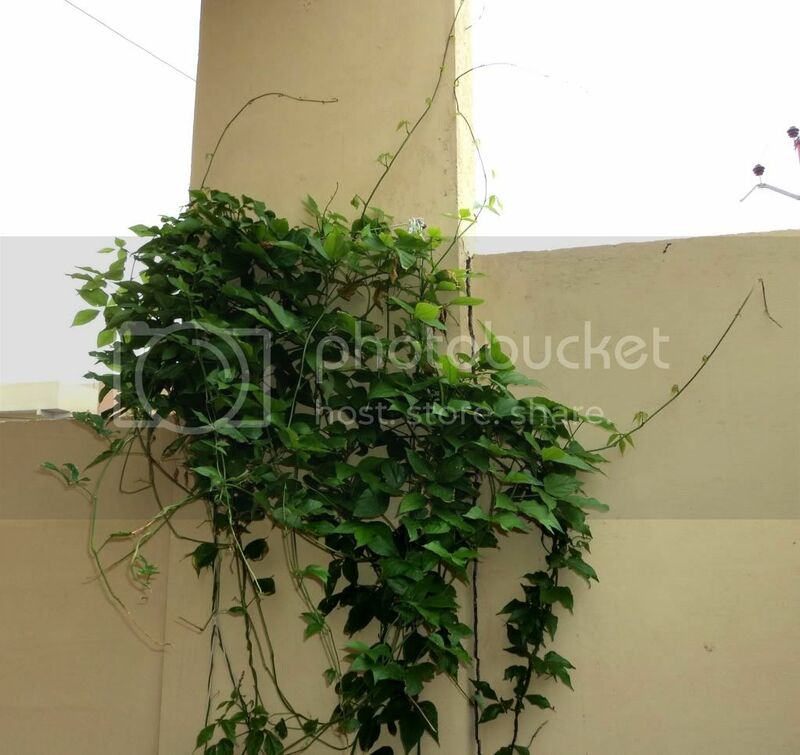 Anyone know if this vine is available in Lahore ie the corkscrew vine? I've been looking for this for sometime. Aykhan, you can get cuttings from my plant if you want. Root easily from cuttings. It blooms first year from seed though. 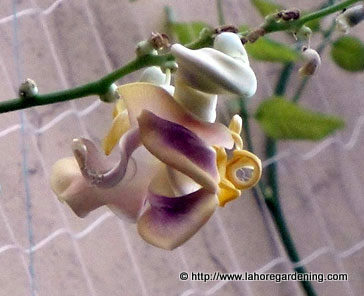 Umar khan, i bought seeds from Chiltern UK in 2008 for the first time. No seed left now. I Can buy for you another packet of seeds from chiltern on their annual fall sale next month if you say so.